Monday's action will see Brazil aim to wrap up qualification for the last 16. RIO DE JANEIRO: The battle to avoid joining the likes of Spain and England on the World Cup scrapheap begins in earnest on Monday as the final round of first phase fixtures kicks off with Brazil bidding to book their place in the last 16. The most entertaining World Cup in years has made a mockery of pre-tournament predictions, with holders Spain condemned to an early flight home after only two matches and England, perhaps less surprisingly, following close behind. The identity of the remaining teams joining them in the departure lounge will be decided over the next four days as the round-robin stage of the tournament reaches its climax. Monday's action will see Brazil aim to wrap up qualification for the last 16, where victory over an already-eliminated Cameroon in Brasilia will clinch first place in Group A. The battle for the other qualifying spot in the group sees Croatia face Mexico in the sultry coastal city of Recife. Croatia recovered from an opening defeat against Brazil to trounce Cameroon 4-0 in their second match, but must beat Mexico to advance. 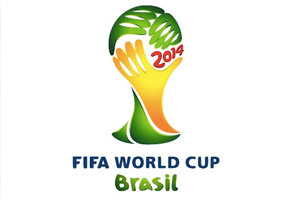 Mexico, fresh from thwarting Brazil in a 0-0 draw last week, need only a point to go through. With Spain and Australia already sent packing in Group B, all eyes will be on the Netherlands clash with in-form Chile in Sao Paulo. The contest is effectively a shoot-out to decide who wins the group and therefore avoids the prospect of playing Brazil in the next round, if, as expected, the hosts win Group A.
Chile boss Jorge Sampaoli is pulling out all the stops to secure a win, and says he will risk suspension for star midfielder Arturo Vidal. But Sampaoli indicated Chile would throw caution to the wind as they face the free-scoring Dutch, who hammered 2010 champions Spain 5-1 and overcame Australia 3-2. "There is a context which is real, which is protecting a player and that's respectable," Sampaoli said. "But we need to win the group because that will give us a way of looking to the future in a different manner." In Group C, meanwhile, Colombia can finish the first phase with a 100 percent record if they defeat Japan in Cuiaba on Tuesday. The Colombians have already qualified for the last 16, and a point will be enough to top the group. Japan, who have one point from two games, must beat Colombia and hope Ivory Coast fail to beat Greece to have any chance of going. Also on Tuesday, England will bid a sorry farewell to the tournament after their elimination from Group D, with Costa Rica needing only a draw in Belo Horizonte to ensure first place from the group. The group's biggest drama is likely to come in the match between Uruguay and Italy, beaten by Costa Rica on Friday. A draw would be enough for the Italians to advance; Uruguay must win to go through. The final round of games in Groups E & F see France and Argentina facing Ecuador and Nigeria respectively knowing a point will be enough to finish top of their standings. A draw could be enough for Ecuador to advance in Group E if Switzerland fail to beat Honduras by a significant margin. Similarly, Argentina's opponents Nigeria need only a point to go through after their 1-0 win on Saturday over Bosnia, who play Iran in their last match. Group G remains finely balanced with Germany and the United States in pole position to qualify. The Americans heroic 2-2 draw with Portugal on Sunday leaves them level with Germany on four points. A draw between Jurgen Klinsmann's US side and the Germans on Thursday would be enough to take both teams through. After wins over Algeria and Russia, Belgium will back themselves to secure the point they need against South Korea to clinch first place in Group H.
A South Korean win would mean Russia have to beat Algeria to avoid elimination. Algeria, currently second on three points, will qualify with a win, but a draw could be enough.